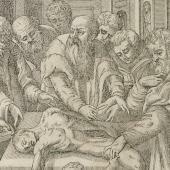 Dissection, the cutting open of a human cadaver, was a fairly common procedure since the Middle Ages, used in postmortems, canonization procedures and for the education of medical students. 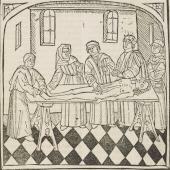 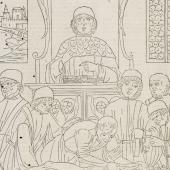 The settings in which such dissections took place were often indoors, in a church or a lecture hall. 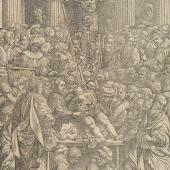 From the beginning of the sixteenth century, temporary wooden seating modelled on classical theatres (remnants of which could readily be seen in Rome or Verona) was sometimes erected for dissections for lectures. 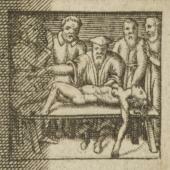 The frontispiece of the Fabrica showed such a temporary structure set inside a classical architecture, and elevated the art of dissection to an impressive spectacle.